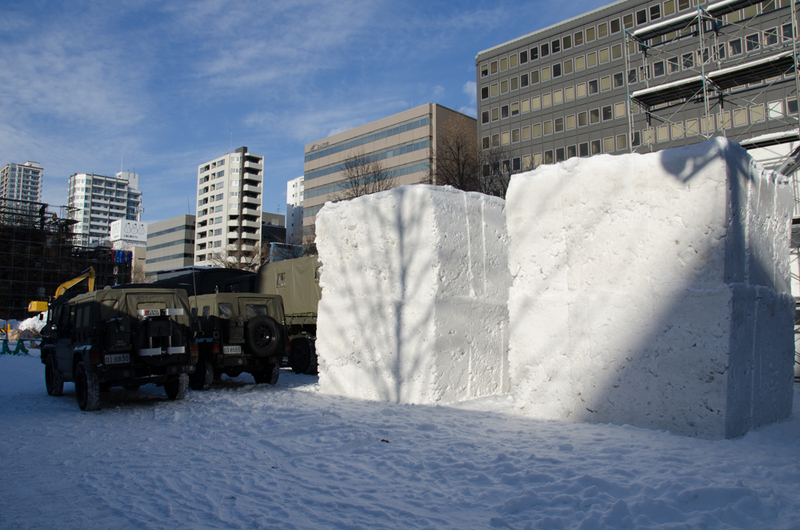 Sapporo Snow Festival is one of the biggest festival in winter. 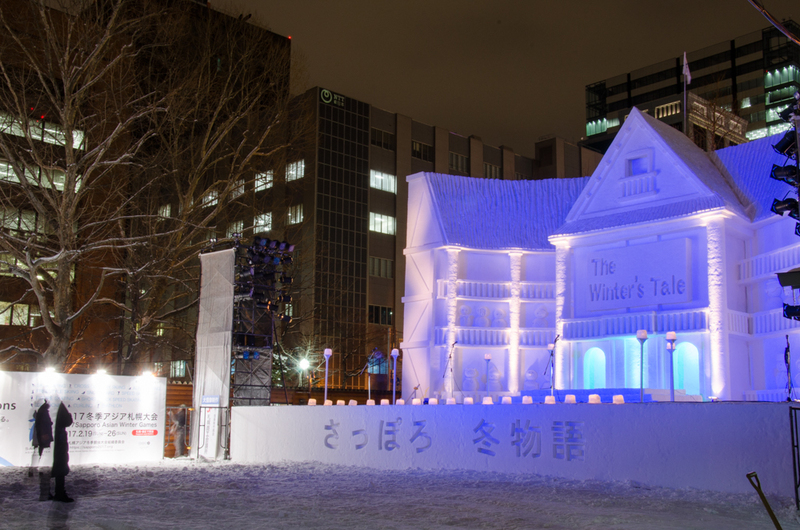 Not only in Sapporo, Also all over the world, this is the biggest festival in the winter presenting a lot of snow or ice statues. More than 2 million people come every year. 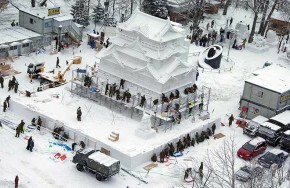 The festival is held at the beginning of February for a week. 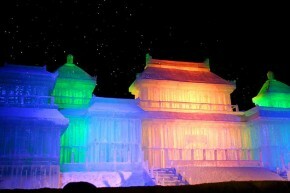 This is a western style building at HBC venue. 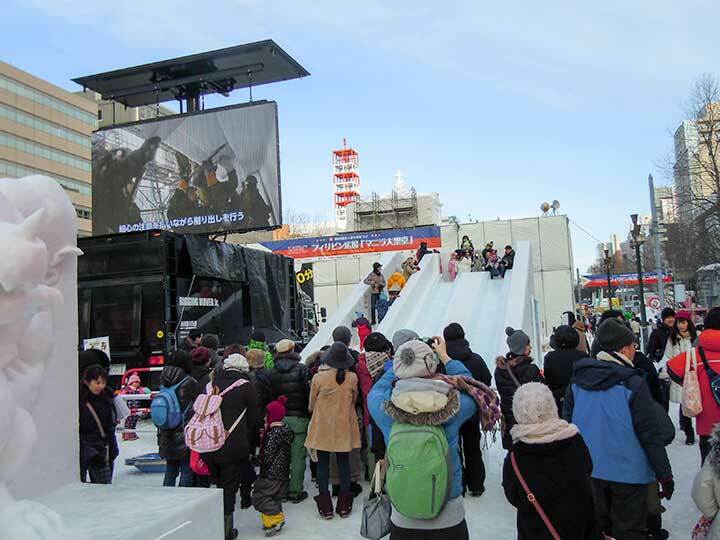 HBC is the first local broadcast company in Sapporo. 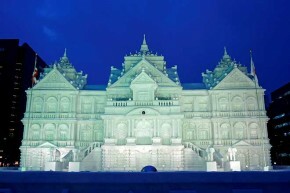 They have offered a series of western historical building every year. 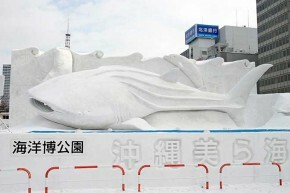 This is a statue of Okinawa Marine Park. 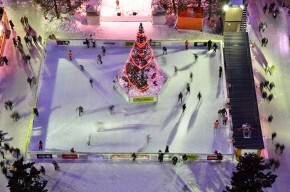 This is one of the main venue presented by a local broadcast. 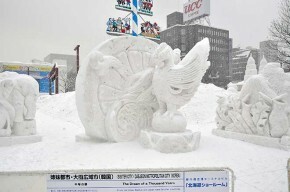 This is a statue by a team from foreign country in the International Snow Sculpture Competition at Odori 12 cho-me. 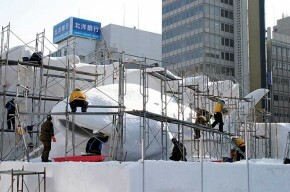 An old building with ice at Odori 2 cho-me. 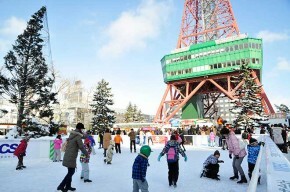 Many children and their parents enjoy skating at Sapporo TV Tower.